Hotel Isaacs Cork is located in the heart of Cork City’s Victorian quarter. We are situated less than 10 minutes’ walk from Kent Train Station, the Central Bus Station and Patrick’s Street. 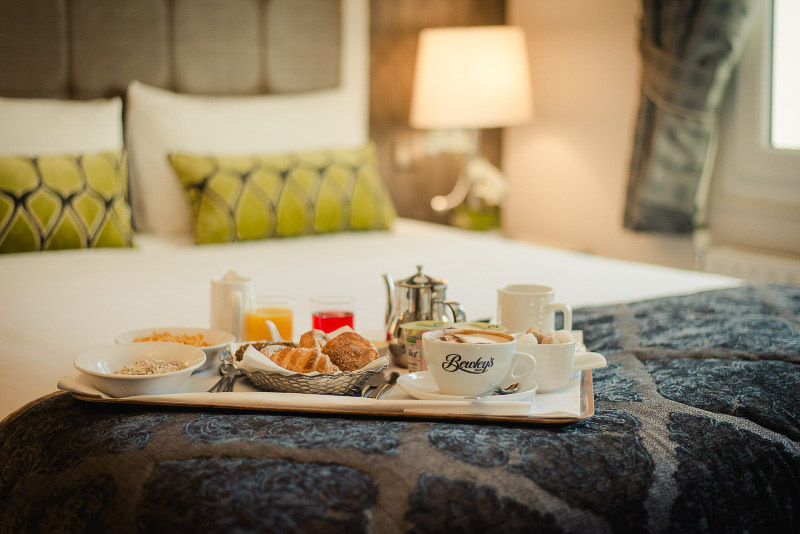 Our Cork boutique hotel offers free Wi-Fi and spacious guest rooms, chose between Deluxe or Classic Rooms. Our Deluxe rooms were renovated in 2016, each modern room offers air conditioning, sound proofing and modern bathrooms while still boasting the original features our hotel is known for. Greenes Restaurant opens daily for breakfast, lunch and evening dinner. Whether you fancy a light snack or a sumptuous 3 course meal, we promise our food will meet the highest standards. Enjoy our extensive ‘Tasting Menu’ with specially chosen wine accompaniments for each course. Dine in our restaurant or Al Fresco by our waterfall; Our residents receive exclusive deals when they dine at Greenes Restaurant.